COMET PERFORMANCE • View topic - dash pad interchange? I have been looking to see if the 67 fairlanes dash pad interchanges with a 67 comet. Ive been looking for a comet dash.pad for 6 months in any condition! I havent found one yet..also need door panels. 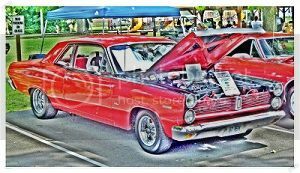 I was thinking on the complete interior kit for a fairlane from dearborn. 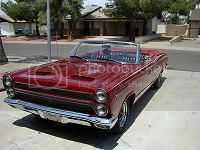 rjs67 wrote: I have been looking to see if the 67 fairlanes dash pad interchanges with a 67 comet. Ive been looking for a comet dash.pad for 6 months in any condition! I havent found one yet..also need door panels. I was thinking on the complete interior kit for a fairlane from dearborn. Apparently dash pads are hard to find. I recently bought a 66 Cyclone GT vert and the AZ sun has damaged it. The previous owner totally restored the car over a four year period but told me the only thing he could not find a replacement dash pad. If you find a source, please let me know. Just Dashes restored mine. I'm thinking of trying Dashboard restorations for the Caliente. You just have to bite the bullet and pay the price to have a nice dashpad. If yer gonna go out, go out smiling! Lucky after a year of looking. Best of luck - hope you find one!